Getting rid of the dongle. 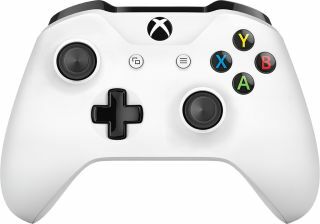 Microsoft is making several improvements to its Xbox One controller, our go-to gamepad for titles that aren't as well suited for mouse and keyboard input, which will ship with the Xbox One S due out in August. One of those improvements is the addition of Bluetooth support (along with Wi-Fi Direct) so you can ditch the dongle when connecting it to your desktop PC or laptop. It's not a game changer by any means, but not having to buy a wireless dongle from Microsoft means you can save a few bucks if that's the controller you're after. The only caveat is if the device you're attempting to connect it to needs to have built-in Bluetooth, but that's pretty common these days. Why wasn't Bluetooth included in the original Xbox One controller? Microsoft boss Phil Spencer attempted to answer that question at E3. "Yeah, the reason we didn’t do this previously—again, trying to be transparent with it—you know, Bluetooth is great, one controller to one PC. Obviously in a console experience we support four or five people connecting at the same time," Spencer explained to PC Gamer. "For the PC experience I think Bluetooth is great. I still think Xbox Wireless for the console experience is the right way to go, which is why we put both antennas in there," he continued. "But yeah, that same controller that comes with the Xbox One S or the custom controllers that people are building … so those are Bluetooth as well. So they’re Bluetooth and Xbox Wireless. And we specifically designed it so you can have one controller that you take back and forth from your console to your PC." In addition to better wireless connectivity, the revised Xbox One controller has textured grips and a new thumbstick design that's supposed to improve accuracy and significantly reduce the amount of wear. You'll be able to buy the controller by itself for $60, presumably at the same time the Xbox One S comes out.